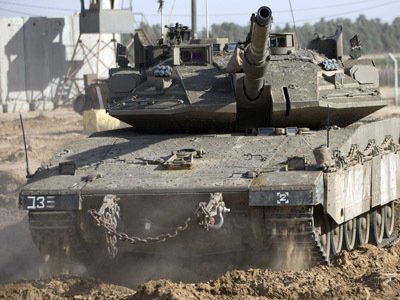 Israel warned Hamas it will step up its offensive in the Gaza Strip in 36 hours if they do not cease rocket fire. UN chief Ban Ki-moon arrived in Cairo in a bid to broker a peace deal between the two sides as the threat of a ground invasion looms. "We are at a junction," Steinitz said. "Either we go toward a calm or toward a meaningful widening of the operation… including a possible move to achieve complete military decision." Israel has demanded that Hamas cease firing rockets into Israel for a period of “several years” and that they stop the smuggling of weapons into Gaza. The conditions are part of a six-part proposal put forward by the Israeli government at negotiations with Hamas in Cairo. The official maintained Israel was not looking for a “quick fix” which would result in renewed militant activity in the near-distant future. He also said the Israeli’s wanted “international guarantees” Hamas would not rearm or use Egypt’s Sinai Peninsula as a staging ground for future attacks. On Monday Hamas’ official Moussa Abu Marzuk said Hamas would not accept the creation of an Israeli "security belt" in eastern Gaza. Later in the day Hamas leader Khaled Meshaal told a media conference in Egypt "we don't accept Israel's conditions because it is the aggressor." Instead, Meshaal said Israel should lift the blockade of Gaza before the two sides can move forward. 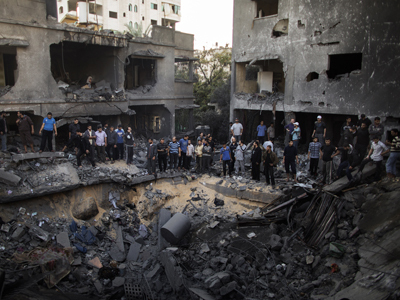 Hamas has also called for a cessation of IDF targeted killings. Meshaal reiterated the Islamic resistance movement has no interest in an escalation of the ongoing conflict in Gaza, though Israel must be the party to stop the war since they started it. He says Israeli Prime Minister Benjamin Netanyahu had initially called for a ceasefire, a claim which Israel denied. UN Secretary General Ban Ki-moon arrived in Cairo on Monday in a bid to aid Egyptian efforts to mediate a ceasefire between the two sides. Ki-Moon is set to meet with both Israeli PM Benjamin Netanyahu and Palestinian leader Mahmoud Abbas on Tuesday. Eighty four percent of Israelis support the ongoing Operation Pillar of Defense, and only 12 percent are opposed to it, according to a poll published in Haaretz daily on Monday. However, only 30 percent of those surveyed support a ground invasion of Gaza. Despite this caveat,Thrall said strategically it would be better for Israel to hold off on a ground invasion for several reasons apart from international public opinion. 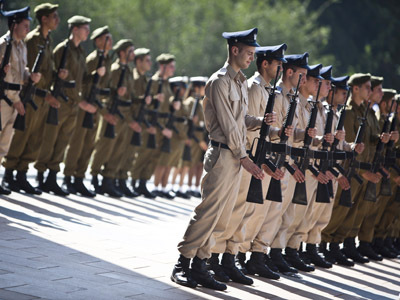 Additionally, the Israeli cabinet has doubled the troop reserve quota for the Gaza offensive and called up a total of 16,000 reservists. Meanwhile the conflict shows no signs of letting up, with the targeted airstrikes within Gaza continuing unabated. On Monday an Israeli airstrike targeted a high-rise complex which houses many foreign and local media offices in Gaza for the second day straight. Islamic Jihad told journalists via text message that Ramez Harb, a senior figure in Islamic Jihad's military wing, the Al Quds Brigades, was killed in the attack. 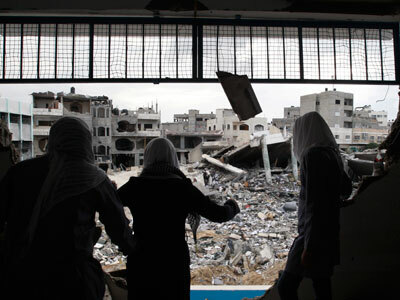 The IDF provoked international ire and accusations of a massacre following the bombing of a civilian household which which absolutey decimated the building on Sunday night. Eleven civilians, four of them children, perished in the military blunder. Israel says it is investigating the incident and that the misfire was due to a technical hitch in their targeting equipment. The death toll on Monday evening stood at 101 Palestinians, while three Israelis were killed in rocket fire on Thursday, a day after the IDF assassinated the head of the Hamas military wing, Ahmed Jabari.